Since their formation in 2001 and having been a regular fixture on the Ottawa metal touring circuit, Joe Thrasher's relentless on-stage work ethic and their merging of old-school 80's thrash with hints of death metal and punk have earned them several slots as the opening act for several bands in the past ranging from Goat Horn to Anvil. The band - who have recently trimmed down to a 3-piece following the sudden departure of bassist Gumby leading to Scott Wark handling both the bass playing and vocal duties. In July 2009 Joe Thrasher released there debut album, "METAL FORCES" which is available through their myspace site (www.myspace.com/joethrasher). 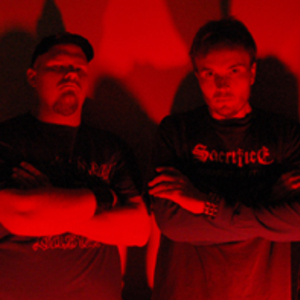 Joe Thrasher is currently putting finishing touches on songs for their follow up to METAL FORCES and are planning to start recording early winter 2010 for a spring/summer release.